We explicitly point out that all functions of this control unit should be used only while exercising caution and responsibility. We can NOT be held liable for any damage or injury caused by installing or using this product. PLEASE READ THE COMPLETE MANUAL CAREFULLY BEFORE USING THIS PRODUCT. Important Information. READ BEFORE INSTALLING! This manual is designed to produce completely filled pages. In order to get best print results, simply set the borders to minimum settings in the browser's page setup menu and disable headers and footers. Activate the print preview and if necessary decrease the zoom level until all pages are shown correctly. ALL IMAGES CAN BE CLICKED FOR FULL SIZE in the browser. TROUBLE SHOOTING - NEED TO CONTACT US? If you run into any problems after installing the module, please go over the manual again in great detail, clicking every photo for full size! This module comes with our USB Field Upgrade and Configuration Port! We recommend connecting it to a computer BEFORE YOU INSTALL and using our support app "m4cconnect" to do a quick firmware update check. M4cconnect as well as all other information regarding USB update and configuration can be found at www.mods4cars.com/usb. You can even configure and activate your favorite module functions and settings on screen before the module is installed in the car! 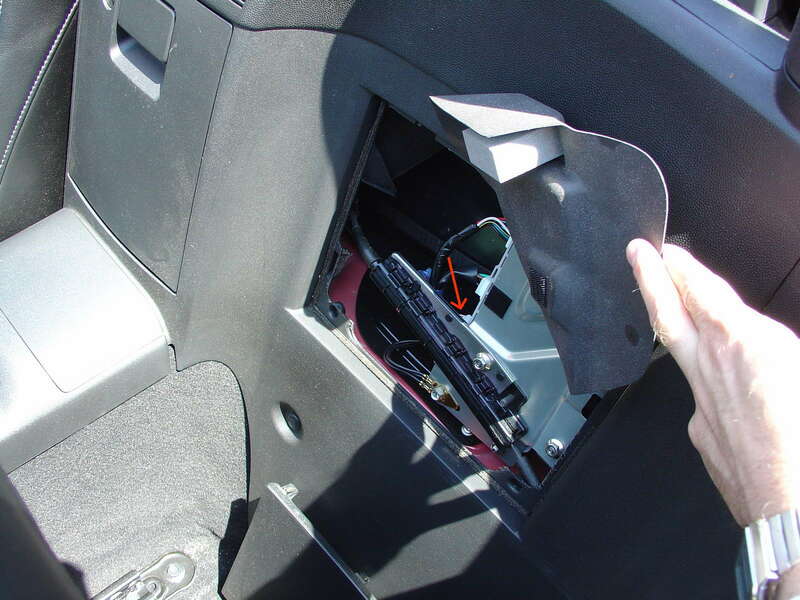 It is a good idea to permanently install the USB cable with the module in the car, leaving the computer plug in an easily accessible spot for later use with a Wifi/3G/4G connected laptop. • 1) Turn Function 1 (Main Switch) off (Setting 0). The module will be completely passive. If the problem still persists and the top won't work, check all connections. Please also check the green DATA LED on the module! • 2) Function 2 now has a VELET mode (Setting 2) on many modules. Valet mode completely disables opening of the top. Check the setting for function 2 and make sure the module is NOT in valet mode! IMPORTANT: Not all modules have the valet mode! Please check the Operation and Programming Manual! • When the ignition is ON: The LED should BLINK (flash) in a regular pattern (about 1x per second). This indicates that the module is receiving data and should work OK.
• When the ignition is OFF: The LED should BLINK (flash) as long as the data bus is still active and turn off after a while (max 5 min) indicating that the car has entered stand-by (sleep) mode. 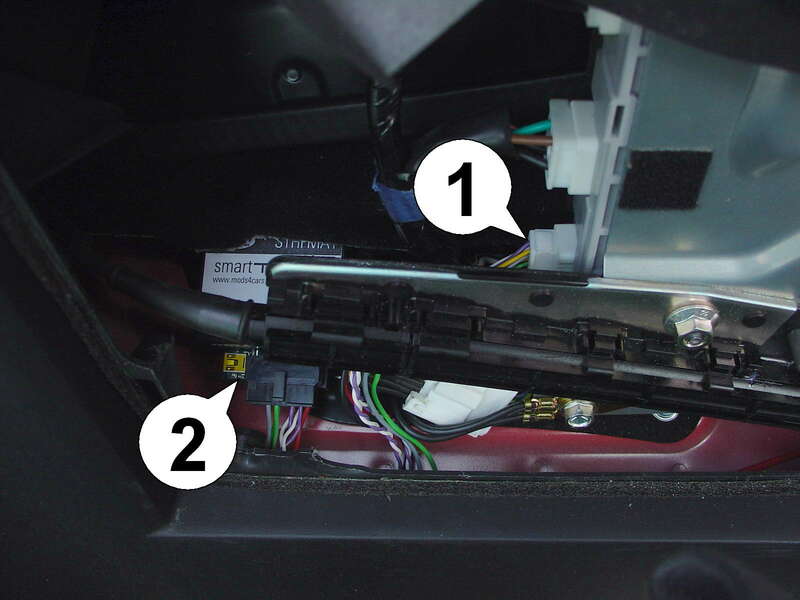 • If the LED is permanently lit with the ignition ON, the module is NOT receiving data from the top controller and all connectors should be checked. • If the LED does NOT light up at all when turning the ignition ON, the module is either not getting power or not receiving ANY data. All connectors should be checked. 1. Open the convertible top for better access. IMPORTANT: Turn off ignition and pull key out before continuing! 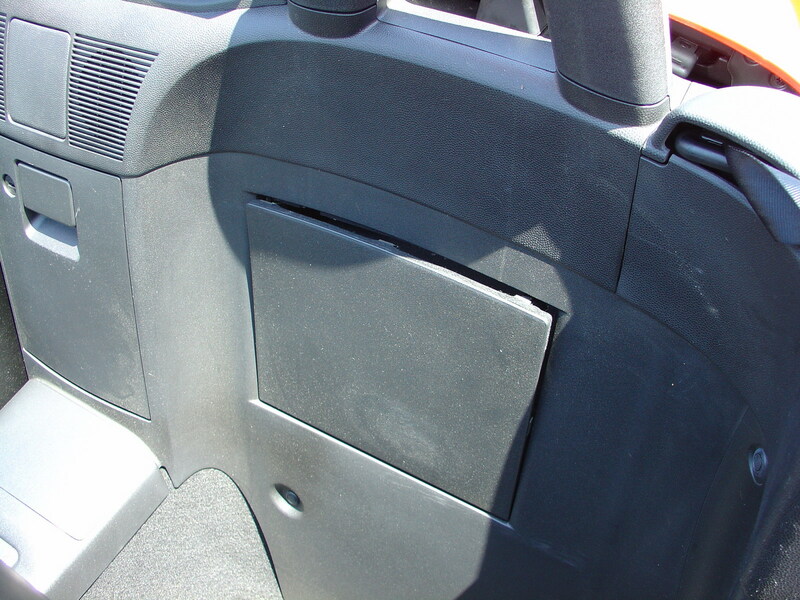 Open the cover behind the driver's seat (left side of the car) as shown. Use a flat screw driver or any flat object like a coin to pry it out on the top. 2. Lift up the padding to reveal the convertibe top controller. The bottom plug (marked with the arrow) will have to be removed in the next step. 3. For better visualization the locking mechanism is shown on the smartTOP plug (1), marked with an arrow. It needs to be pushed down while pulling hard on the plug. 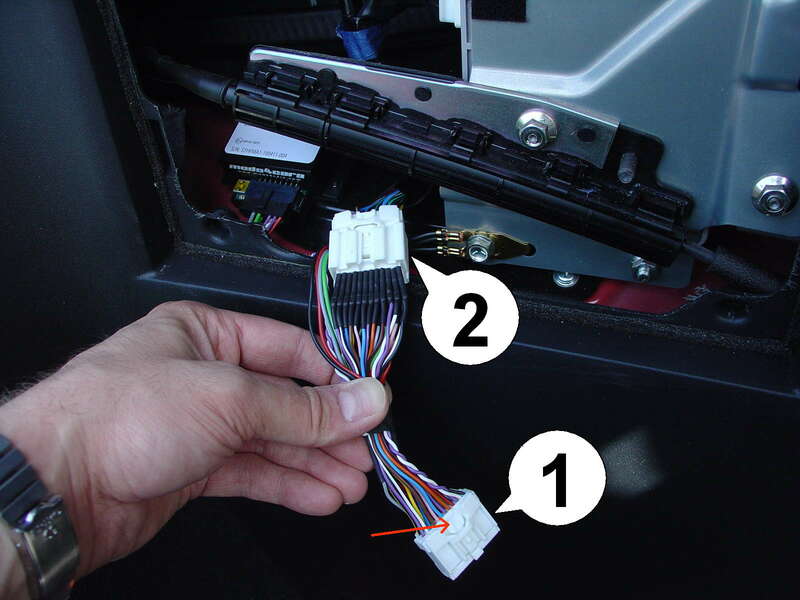 Once the plug is out, plug it into the matching socket on the smartTOP wiring harness (2). 4. Connect the smartTOP plug (1) to the top controller, then connect the smartTOP module to the harness. Turn the ignition on. A rapidly blinking green LED (2) will indicate proper installation. Lastly, program the module as desired, according to the operation manual.